The Wallonia City Liège is an exciting, nice city with a rich history. Amongst the monumental heritage is the Place Saint Lambert, the monastery of the Minderbroeders and the Johannes de Doper fontain. The most historical part of the city is underneath the Place Saint Lambert, such as Gallo-Roman villa remaining’s, medieval buildings and prehistoric traces. But the city has more, special musea, cozy terraces, and lively squares. 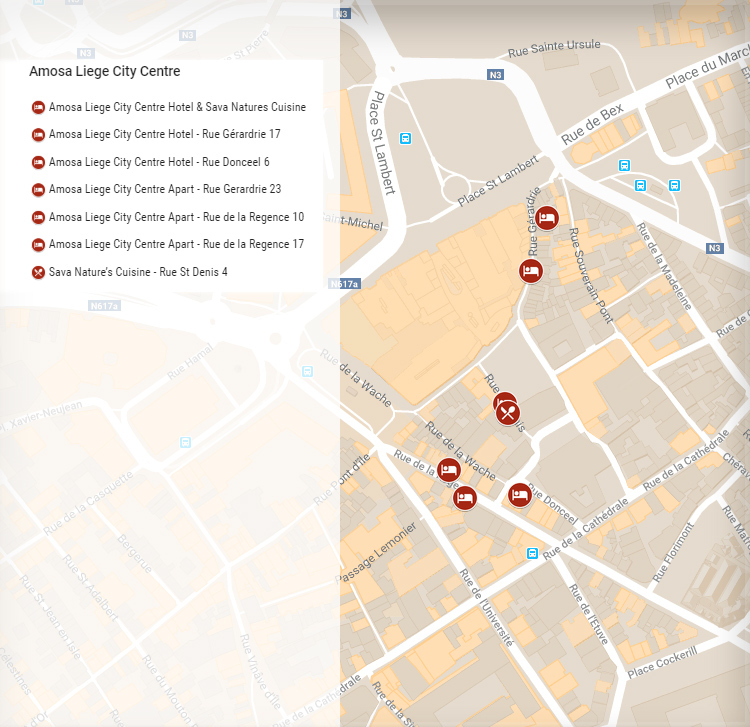 In one of those squares Amosa Liège City Centre Hotel is located, since 2014. Amosa Liège City Centre Hotel has got 29 luxury rooms with their own facilities. An ideal hotel for those who appreciate the value of friendly and personal service at affordable prices.